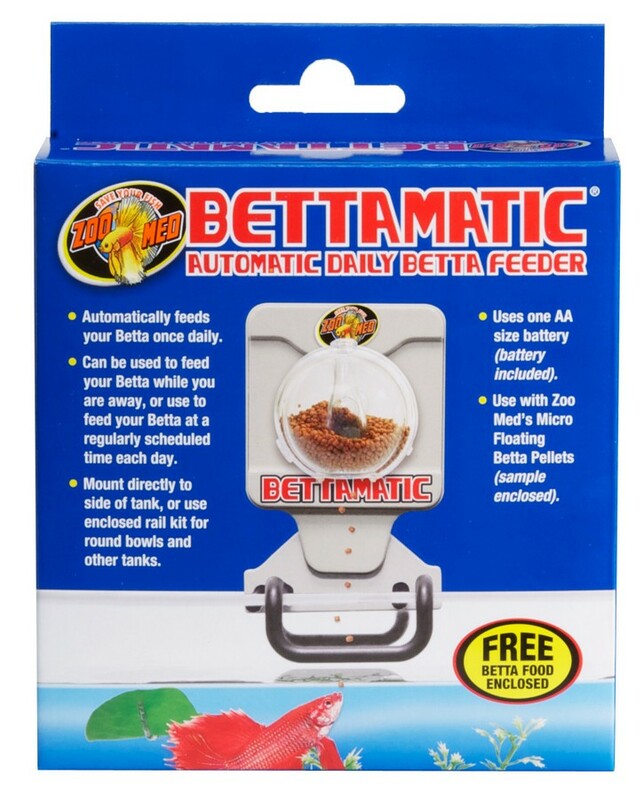 Bettamatic® Automatic Daily Betta Feeder | Zoo Med Laboratories, Inc.
Automatic Daily Betta Feeder! Includes Zoo Med Betta Food Pellets. Specially formulated to intensify the colors of your Betta fish! Automatically feeds your Betta every 12 hours. Great for scheduled feeding times or vacations! Mounts directly to the side of tank, or use enclosed rail kit for round Betta bowls or other tanks. Uses one AA size battery (Battery included). Zoo Med’s Bettamatic is an automatic Betta feeder that feeds your pet on a daily basis. Perfect for trips out of town! Check out our step-by-step instructional video on how to set it up.